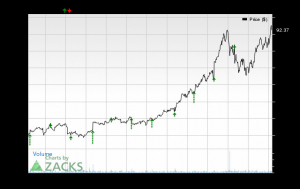 Symantec (NASDAQ: SYMC) stock dipped 14.5% in December, according to data from S&P Global Market Intelligence . The cybersecurity company's stock movement tracked closely in line with the broader market, wiping out gains that shares made in November. Symantec stock has been depressed since management announced that the company was conducting an internal audit, but shares climbed 22% in November thanks to rumors that the company was a potential acquisitions target. Additional news or cause for speculation about a buyout did not emerge, and without any developments on that front or other big news to prop up the stock, shares sold off in December, along with the market. 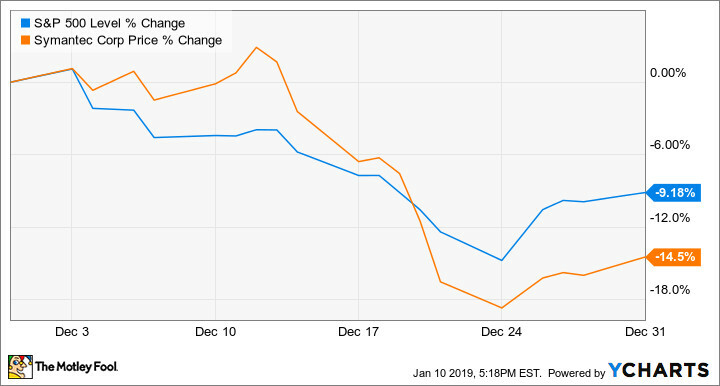 There was some significant business-related news for the company in December, although it didn't have a big impact on the stock's performance. Symantec was named as a leader in Gartner's Magic Quadrant for Secure Web Gateways rankings for the 11th year in a row, and its cloud workload-protection software was named by CRN as a "Product of the Year" winner. 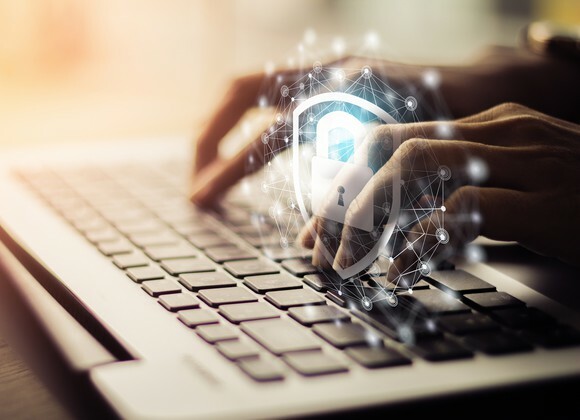 The company also announced that it would incorporate Fortinet's firewall technology into its Web Security Service and debuted a new artificial-intelligence-powered system for scanning USBs for cybersecurity threats. 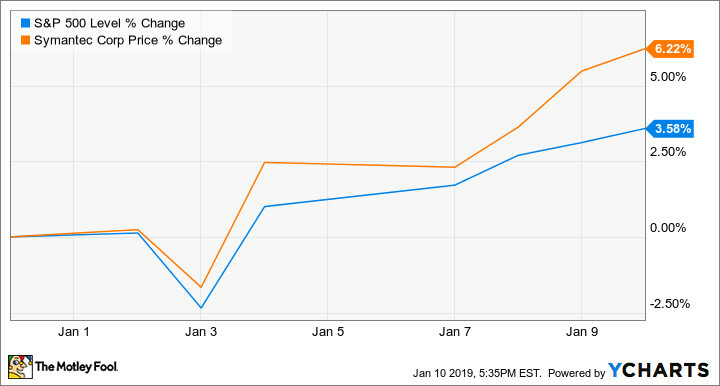 The market has regained some ground early in 2019, and momentum has helped lift Symantec stock. The cybersecurity company's shares are up roughly 6.2% in January so far. Symantec is scheduled to report third-quarter results after market close on Jan. 31. Management expects sales for the period to come in between $1.16 billion and $1.19 billion and adjusted earnings between $0.37 and $0.41. 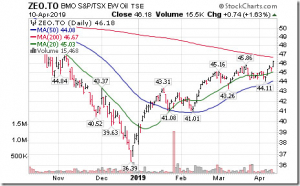 Shares still trade substantially below where they were prior to the announcement of the audit, despite the results of the investigation revealing only one customer transaction that required restating and resulted in deferring $13 million in revenue. However, the SEC is reviewing the company's audit process, and there's still a possibility that Symantec could be hit with fines. David and Tom just revealed what they believe are the 10 best stocks for investors to buy right now... and Symantec wasn't one of them! That's right -- they think these 10 stocks are even better buys. Keith Noonan has no position in any of the stocks mentioned. The Motley Fool recommends Fortinet and Gartner. The Motley Fool has a disclosure policy.